The weather of Cuenca this orning was fine. I was glad that I stayed 1 more day here. Smash Repair shop to say good-bye. But Cesar wasn't in yet. So I said good-bye to all staff and took off. 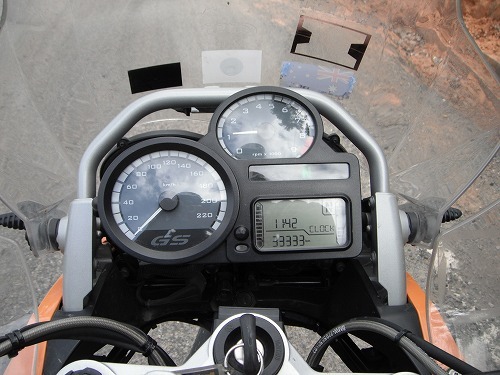 It got really cold on the top of the pass to Loja, and it was very foggy. It rained sometimes, but wasn't hard enough to get wet. 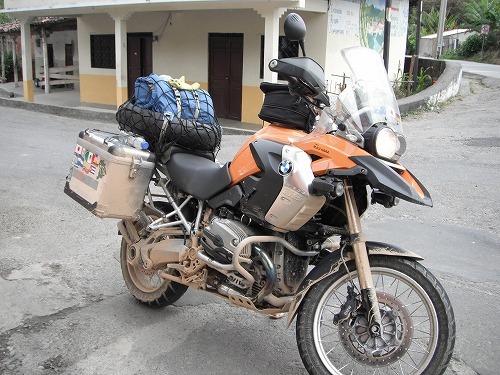 But there was a place (I guess just removed mud from the road after a landslide), full of muddy water on the road, so mud splashed onmy GS and and my boots! I need a big wash again!! 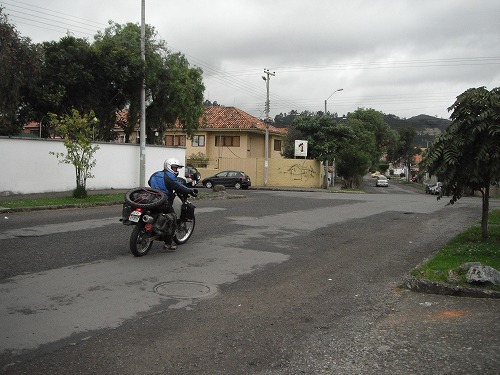 I arrived Loja before 12:30pm. 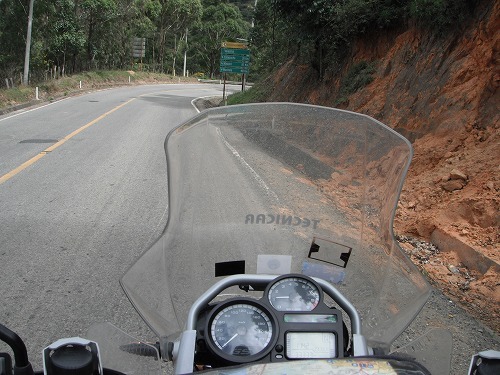 Vilcabamba was 41km away, so I continued. I had lunch at small village. I had Fritada with Yuka. Lots of meat and I liked the dish, but I was charged US$5! That's a rip off! 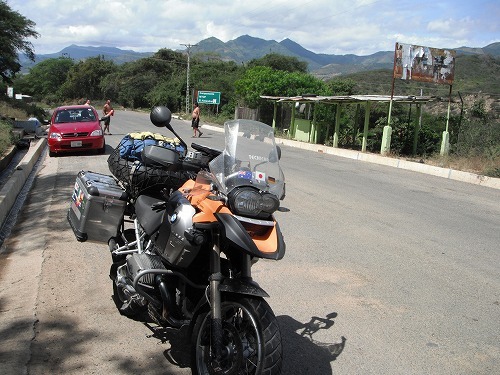 I arrived Vilcabamba before 2pm. I thought I could spend 2 nights here, but nothing was appealing. 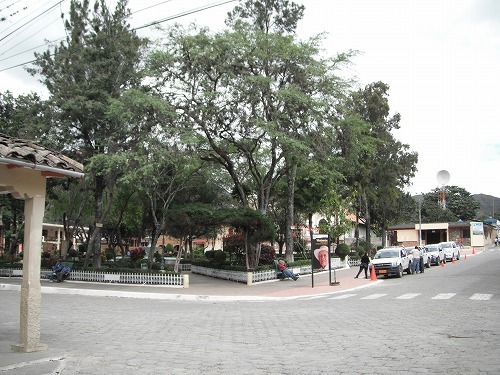 So I decided to go back to Loja. 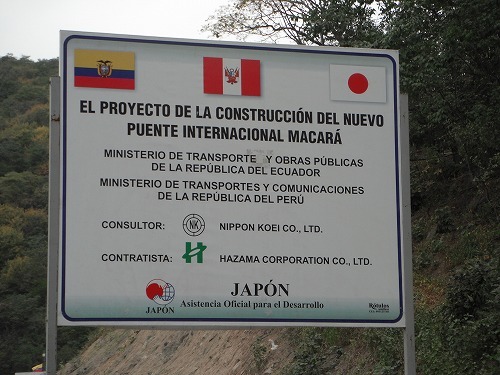 Anyway, the border I am planning to cross is at Macara. 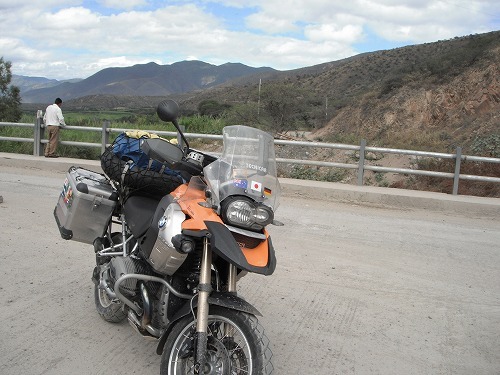 From Vilcabamba, I had to take a dirt road to Macara, but from Loja, the road would be sealed most of the place. I came back to Loja before 3pm. 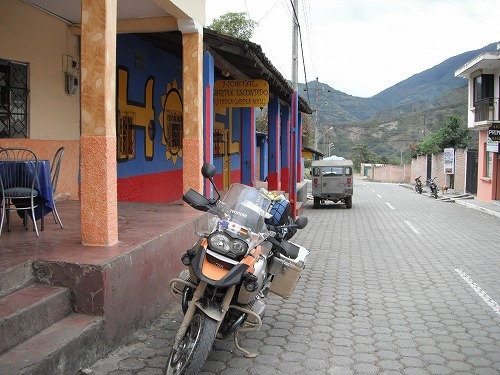 I went passed Hostal Londores, the cheapest hostel on Lonely Planet, but it did not look like I could park my GS. So I went to Hotel Metropolitano. The single costs US$12 and I had to pay US$2 to park my bike. It was expensive, but I was a little tired and it had WiFI, so I am staying here now. When I was wiping dirt off my GS, those staffs at the hotel started to wash a car with a high pressurerised hose. After they finished washing, they rent me the hose. Now my GS is clean again and if I went to a carwash, it would cost US$3 or 4, the rent of US$14 wouldn't be bad. Tomorrow, I will leave here early and head to Macara. 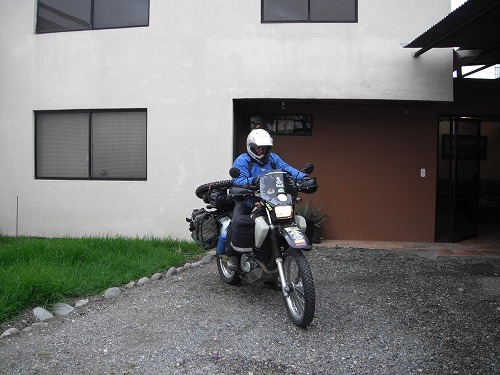 Then I will cross the border to Peru on Saturday morning. I guess I won'thave Internet access for 3-4days till I get to Piura, Peru, so the blog will not be updated for a while. 雨は8時ごろに止んで曇ってますが道路も乾き始めました。アダムは9時ごろに出発。キトからほぼずっと行動を共にしてきたので別れるのは寂しいですがペルーの何処かで再会できるでしょう。それまで友よ無事で良い旅を！ Buen viaje, mi hermano inglaterra! It was raining hard this morning. Adam was having a cabin sickness, so he decided to leave. We had a feeling that the rain just stayed here and once we went over the mountains, it would be clear. But I had a bad feeling to leave today, so I decided to stay one more day. Also my friend Kaoru was in town, so I could meet him. Uwe had something going on with Elizabeth, so he was happy to stay longer here. The rain stopped around 8am and even though it was clouded, the street got dry. Adam left around 9am. Since Quito, we had been together most of the time. So it was sad to see him off, but we were solo anyway. We will meet up somewhere in Peru for sure Till then have a safe and fun adventure, my English borther! Buen viaje mi hermano Inglaterra! I went to Hostal Tourista del mundo where Kaoru stayed. Luckily he was there. At the hostel I updated my blog and uploaded photos to Facebook, then we went out for lunch at Mercado. We met up with Uwe on the way. Kaoru had Cuy there. 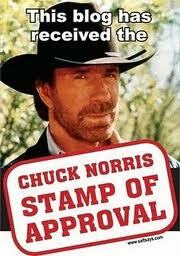 But he said the skin was hard and it smelled a bit. 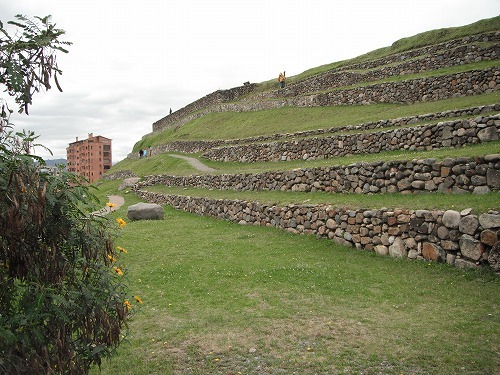 Uwe went home and Kaoru and I went to Inca ruins - Pumapungo. We could not find the entrance but we found out we could go into the ruin from the museum. The entrance of the museum and the ruin was free. But they were not really great. I started to fel sick, so I said good-bye to Kaoru and went home to have nap. He wa also heading to Peru, we will meet up again. 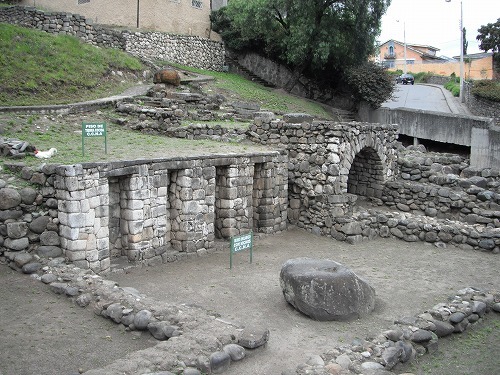 Tomorrow even it rains, I will head to Vilcabamba. Today is Ernesto's birthday. 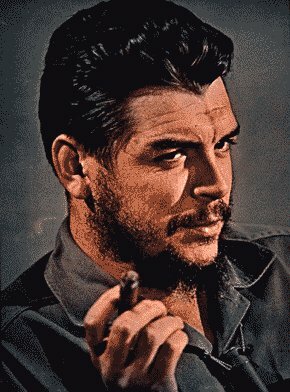 Happy birthday mi amigo. If you are still around, you will be 83. 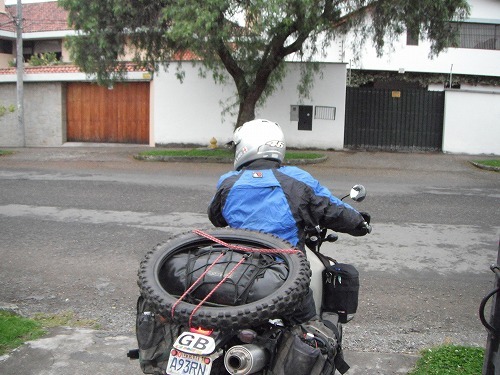 We supposed to leave Cuenca and head to Vilcabamba, but it rained hard. So we decided to stay here one more day. Uwe went out with Elizabeth, so I cooked dinner with Adam.